We welcome both survivors and community allies to assist us in our work. Click on the video to find out more about S.O.A.R. Need Support? Want to talk? We have trained peer support volunteers ready to listen! Interested in volunteering, joining our board or taking the training to become a peer support volunteer? Want to have a member of S.O.A.R. speak to your group? Contact us. Survivors of Abuse Recovering provides community-based peer support for adult survivors of childhood sexual abuse in West Hants, Kings & Annapolis Counties (Nova Scotia, Canada). We welcome all genders. We train peer supporters and also provide workshops for the public to raise awareness of these issues. For peer support, call or email us using the contact information here. Click here for more information. We welcome both survivors and community allies to assist us in our work. Click here for more information. To have S.O.A.R. speak to your group or for further information on S.O.A.R, use the contact information here. View/Download our Rack Card for more info. Watch our videos where S.O.A.R. 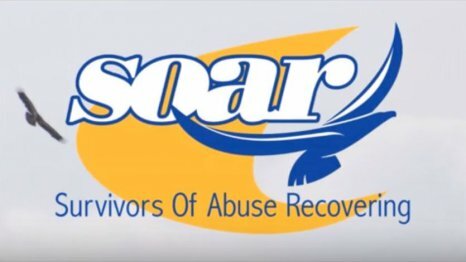 members describe how S.O.A.R. started, what it does, and how peer support helps survivors heal and grow. If you are in crisis, in Nova Scotia you can access the 24 hour mental health crisis response line at 1-888-429-8167. After hours go to emergency, call 911 or the 24hr Mental Health Crisis Line above. Visit www.gethelpnow.ca for more information. If you are outside the West Hants / Annapolis Valley area, go to http://www.ns.211.ca/ or call 211 to find services near you.